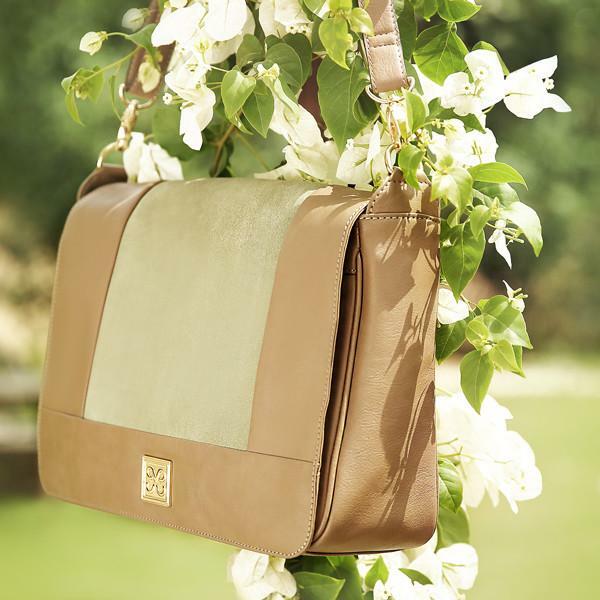 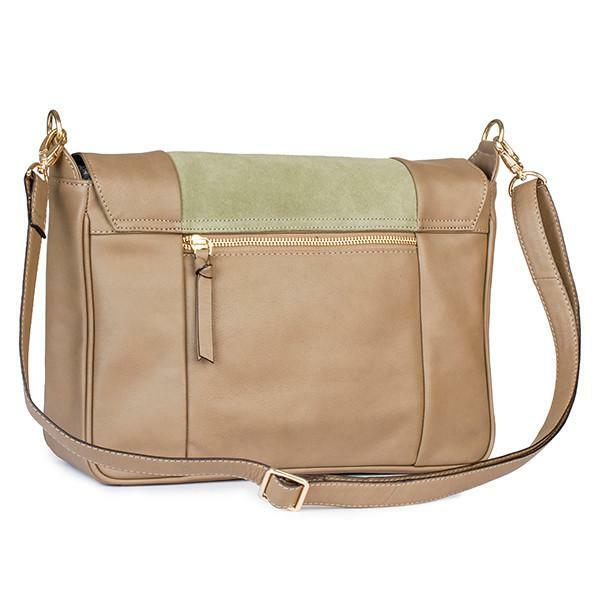 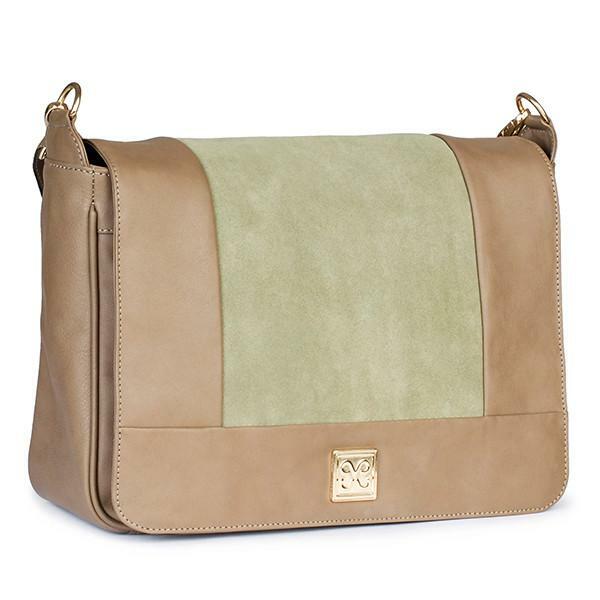 Made with supple, Cappuccino brown Italian Leather and plush sage green Italian suede, this Bacoli satchel is the perfect all-day bag for the woman on the go. 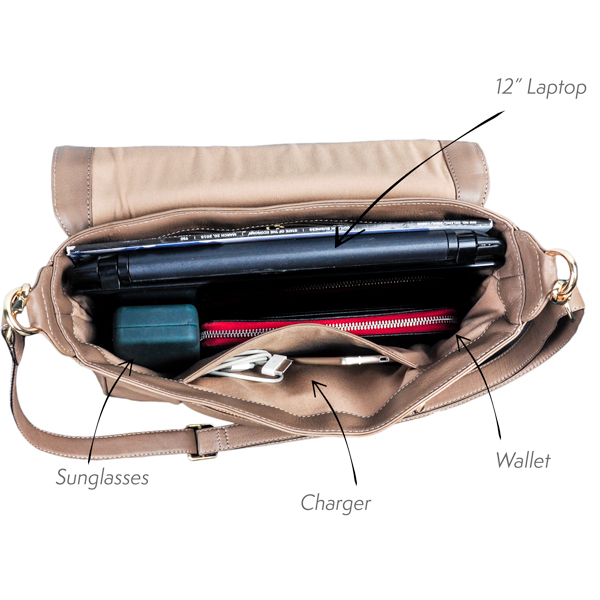 It fits a 12 inch laptop, A4 papers and has multiple pockets. 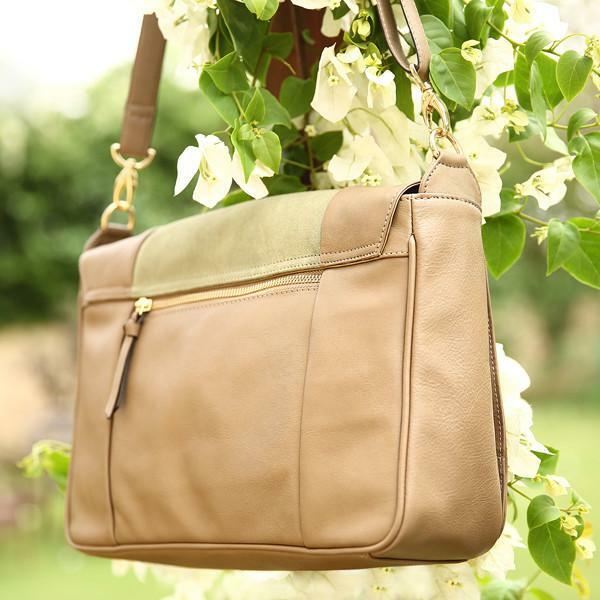 Takes you seamlessly from office to dinner. 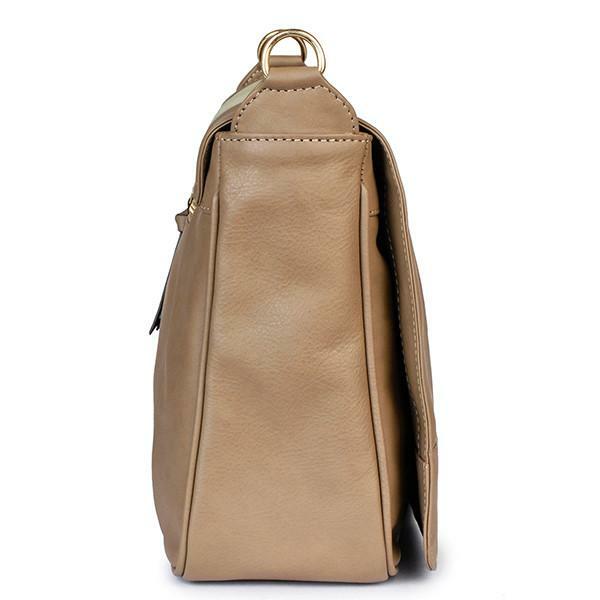 Inspired by the quaint seaside town of Bacoli, outside Naples, a star attraction for sailors, divers and Roman history enthusiasts.